Change is the only constant. Even the most efficient and optimized business processes must be evaluated and checked, so as to find the possible scope of improvement. Just looking at the numbers or keeping an eye on production is not enough, because managers need to note and evaluate how the actual work flow is happening. That’s where Gemba walks fit it. 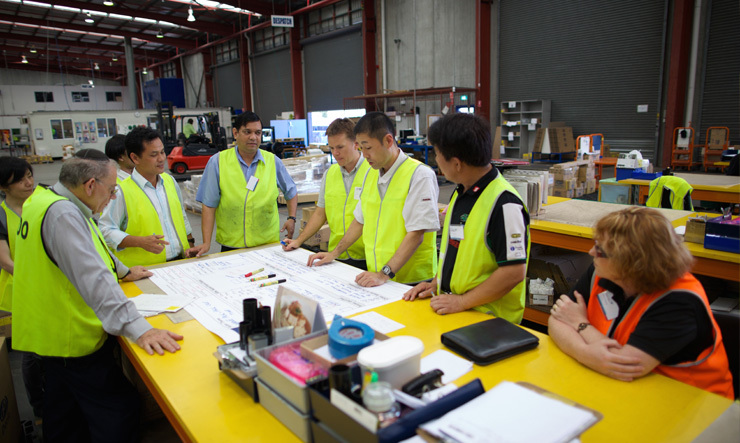 Gemba is a word in Japanese that means the ‘real place’ – the place where the work is being done. It’s a part of Lean management philosophy, and it allows managers and leaders to keep a tab on the work being done, engage employees and get inputs for better productivity. Managers need to know that the ideal of a Gemba walk is to explore the workplace and flow of work. It is about observation, with the intention of finding wasteful activities. What’s equally important is to engage the employees and workers, letting them know what the process is all about. More often than not, managers just go about on a Gemba walk and take notes, but unless the right questions are asked, the problems are never clear. Leaders and managers need to be patient listeners, must be open to getting suggestions and ideas. It is equally important that this is not considered as a performance-evaluation exercise. You are not there to judge or check how the people are working. A Gemba walk is only successful when more people are a part of it. Gemba walks are about noting things, but it doesn’t have to all manual work anymore. With apps like the one from Tervene, it is possible to simplify the process for managers and leaders. A good Gemba walk app will help the team in recording and noting everything, with evidence. From adding text and pictures to videos and even sorting the data for future use, a well-designed app can do it all. Gemba walk is for every business, and it may have a big role on how businesses function and improve work processes. It is an exercise that requires collaboration, calmness, and shouldn’t be treated as a means to correct things on the go. If your company can utilize the purpose of this management philosophy aptly, the results can be rewarding. To know more on how to use a Gemba walk app, check online right now. How Can an Intranet System Help You?